Find out everything worth knowing about “Medea's Love”. 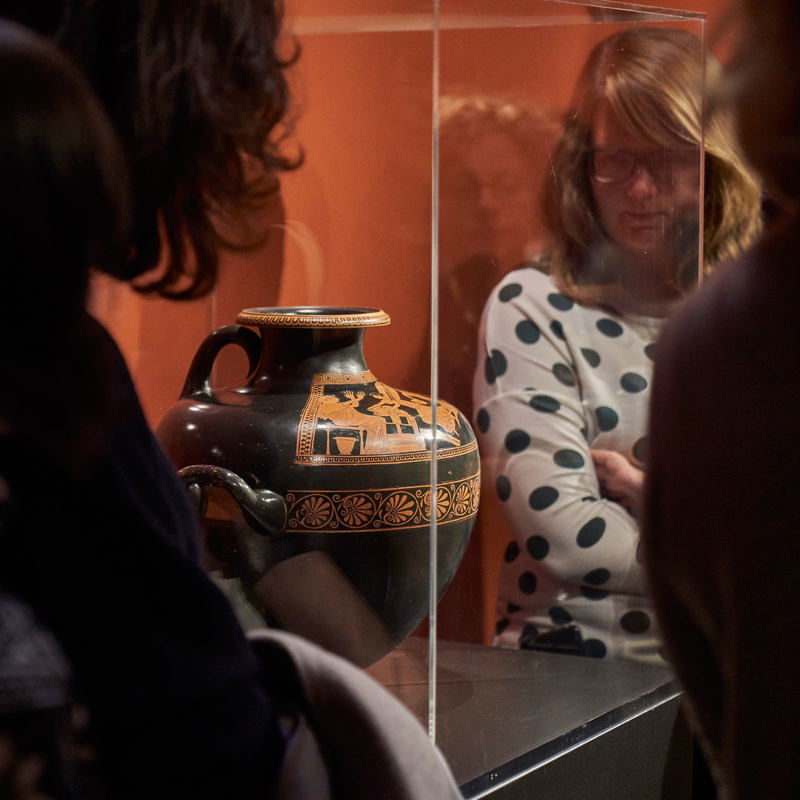 The major special exhibition “Medea’s Love and the Quest for the Golden Fleece” recounted an important tale of Greek mythology: It is the story of a fabulous adventure and a great love that ends in disaster. Original Greek and Roman sculptures, vases, paintings and wall paintings from the Vesuvian cities of Pompeii and Stabiae illustrated the voyage of the Argonauts and the love of Jason and Medea. Important loans from such institutions as the British Museum in London, the Museo Archeologico Nazionale in Naples, the Paris Louvre and the Vatican Museums in Rome brought the events to life – the perilous maritime expedition of the Greek prince Jason and the Argonauts, the capture of the Golden Fleece and the murderous deeds of the two lovers. On the occasion of the Frankfurt Book Fair 2018 with Georgia as its guest of honour, outstanding bronze and gold objects from the Georgian National Museum were also presented within the framework of the show. The splendid jewellery and other millennia-old treasures underscored the ancient description of Medea’s native Colchis as a “land of gold riches”. With their exceptional beauty, the designs of the Bronze Age weapons, vessels and gold jewellery objects testify to especially skilled craftsmanship. “Medea’s Love and the Quest for the Golden Fleece” moreover drew on very recent research on imagery illustrating the Greek myths, in particular the saga of the Argonauts. 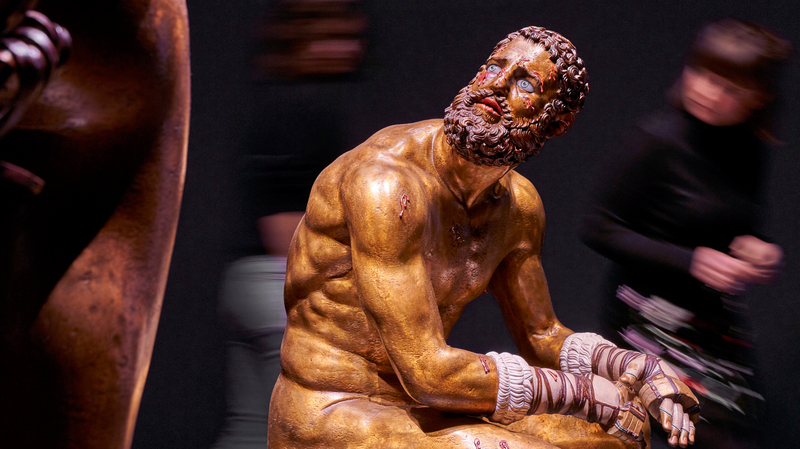 Since their rediscovery in 1885, the interpretation of the famous Quirinal bronzes, the so-called Terme Boxer and Terme Ruler has been a matter of controversy. Investigations carried out in the context of the Liebieghaus’s polychromy research have yielded new findings on the formal and narrative designs of the two bronzes and confirmed their interpretation as figures from one of the key adventures of the Argonaut saga. The statues have thus come to be a main focus of the exhibition project, for which elaborate reconstructions of them have been realized.